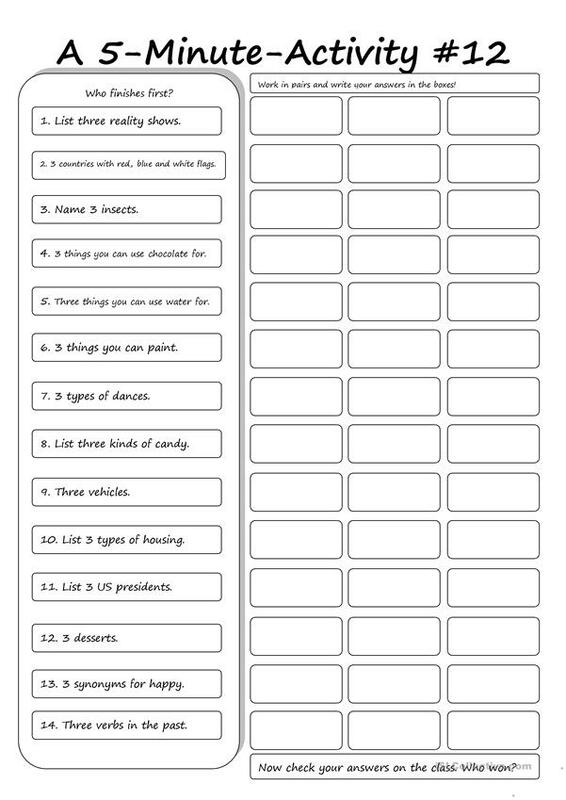 One more in the series of wss that are good to bring in when you need a filler or an end of lesson activity. This downloadable printable is recommended for high school students, elementary school students and adults at Pre-intermediate (A2), Intermediate (B1) and Upper-intermediate (B2) level. It is excellent for working on your groups' Speaking, Reading and Writing skills.